Sharp, crisp Sungold apples, grown by Joe Pardoe in Herefordshire. 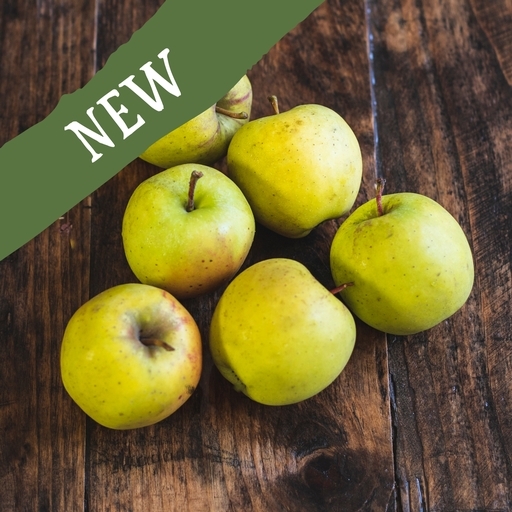 This variety (descended from the Golden Delicious) is new and quite unusual. Joe’s giving them a go with a trial crop of just 500 trees, keen to get more golden apple varieties in our fruit bowls alongside the familiar reds and greens. They’re mouth-wateringly sharp – perfect for those with a taste for the tangy. These beautiful apples are grown by Joe Pardoe in his organic orchards in Herefordshire. The Pardoes have been growing fruit for four generations, so Joe really knows his stuff.